Originally from the Washington, D.C. area, saxophonist Dr. David Stambler has established himself as a dynamic and active performer throughout the United States, performing both jazz and classical music. His concert activities include recitals and appearances as a symphonic soloist, as well as “on-call” engagements as saxophonist with many orchestras including the Annapolis Symphony, the Bay Atlantic Symphony, the Richmond Symphony, the National Gallery Orchestra, the Baltimore Symphony, the Baltimore Chamber Orchestra, and others. 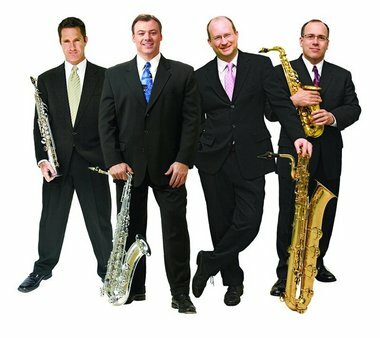 He has performed internationally including in Italy, Spain, Scotland, Austria, Slovenia, Russia, Japan, China, Canada, and Bermuda, and has appeared with dozens of orchestras across the United States as saxophonist and manager of the renowned saxophone ensemble, the Capitol Quartet. Stambler has distinguished himself as an advocate for new compositions for saxophone, premiering numerous works including Five Portraits by Jonathan Leshnoff, November by Elam Sprenkle with the Baltimore Chamber Orchestra, Dos Movimientos by Guggennheim-winner Carlos Sanchez-Gutierrez with the Bay Atlantic Symphony, Concerto for Saxophone by Copland Award-winning composer James Grant, Still the Fire by Guggenheim-winner John Anthony Lennon, Suite for Saxophone and Moments Musicale by Mark Lanz Weiser, and many others. He is the founder and President of the Margot Music Fund, a 501-c-3 non-profit organization that raises money for and sponsors scholarships, performances and commissions. Stambler has recorded with Capitol Quartet, Baltimore Symphony, the Baltimore Chamber Orchestra, numerous pop artists, and has played clarinet and saxophone on dozens of nationally broadcast radio and television commercials, soundtracks, and video games. A veteran of thousands of professional performances, he has appeared at the JVC Jazz festival, the Princeton Jazz Fest, the Smithsonian Institution, Strathmore Hall, the Kennedy Center, Carnegie Hall, numerous embassies in Washington, for heads of state, and has accompanied many top entertainers including Rosemary Clooney, Debbie Reynolds, Smokey Robinson, Natalie Cole, Roberta Flack, Bobby McFerrin, Aaron Neville, Melissa Manchester, and many more. Dr. Stambler studied clarinet at the Oberlin Conservatory, and then received his Bachelor of Music degree in saxophone from The University of Michigan, where he was a student of Donald Sinta. He holds the Master of Music degree from the Peabody Institute in Baltimore, and the Doctor of Musical Arts from the University of Maryland. He served as Professor of Jazz Studies and Saxophone at Towson University, and is currently Professor of Saxophone at Penn State University.